Want to learn more about Irelands ancient past? Then, look no further than Experience Gaelic Games. At Experience Gaelic Games, we want you to experience the joy of Gaelic Games – games that are Irelands most popular sporting activities. We will help you capture the magical past that is Gaelic Games by bringing the games to life. Discover Irelands ancient past in an existing and enjoyable environment. So, buckle up your helmet – chose your stick – and enjoy! Experience Gaelic Games has a unique package that will see you spend your quality time in Dublin in a fun filled environment, whilst enjoying the wonder of our greatest and most cultural activity with a fun difference. 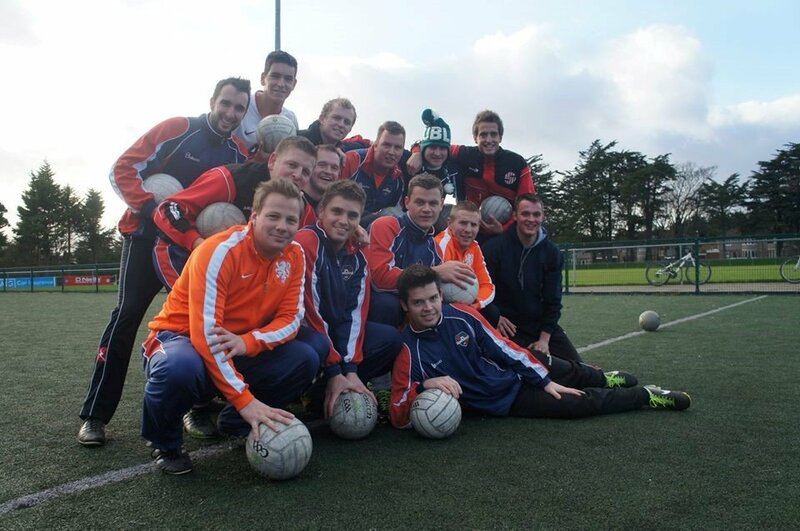 Our coaches will take you on a journey through the craft of Gaelic Football, Hurling, and Gaelic Handball. Through our ancient games, you will have a super adventure. We will take you into the heart of Irelands sporting heritage with a lineage that stems back to prehistoric times. At Experience Gaelic Games we pride ourselves in creating an atmosphere where you will be immersed into the ancient craft of our Gaelic Games. Marvel at the thrills of our major sports, Gaelic Football, Hurling and Gaelic Handball as they are brought to life. Our sessions and passionate coaches will help you get to the grips with the techniques of our Gaelic Game. All in a fun filled environment. Whether you are bursting with sporting ability or just want to take your time and soak up the exhilarating fun atmosphere, this is a day that will tick all the boxes. Our emphasis is that you have a fun filled Irish experience learning about our culture and uniqueness as you go. So, come play Gaelic Games with us. Not even the rain could change the unique experience playing Irish sports at the Gaelic Games Experience! You didn't just let us try but also gave us an insight into Irish culture and really let us feel as part of it, which was awesome. Especially we loved your openness and cordiality. ps. what really sticks to us is the "good stuff" you always used. Our group loved the Irish accent and we actually sometimes use the "good stuff" in class :)!